I want to generate dynamic HTTP Requests for different URL paths with credentials. For that I need to fetch the URLs from a database, so I have created one JDBC Connection Configuration and set JDBC Request(Pre-Processors) with my Select statement. Now I need to write the output of my select statement to a CSV data file. Can I do that or do I have to loop through this controller? If everything goes well you should see foo.txt in JMeter's "bin" folder, the file will contain your SQL query output data in CSV format. 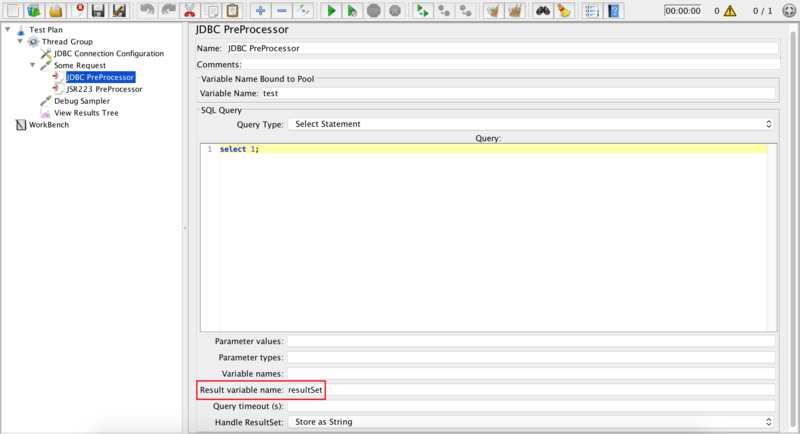 See Debugging JDBC Sampler Results in JMeter article for more information on how to work with JDBC test elements results in JMeter tests. How to set uploaded CSV file server path for __StringFromFile function in JMeter HTTP Request? Communication failure in JDBC Database?